Mainly sunny. High 66F. Winds NNW at 5 to 10 mph..
Weeping Water Elementary School students smile in their pajamas in the district’s auditorium. They helped raise funds for flood victims as part of an effort spearheaded by the Weeping Water Future Business Leaders of America group. FBLA members organized a fund-raising effort that generated $750 for the American Red Cross. Many Weeping Water students participated in two fund-raisers March 22. All PK-12 students could wear pajamas to school for a minimum donation of $2. 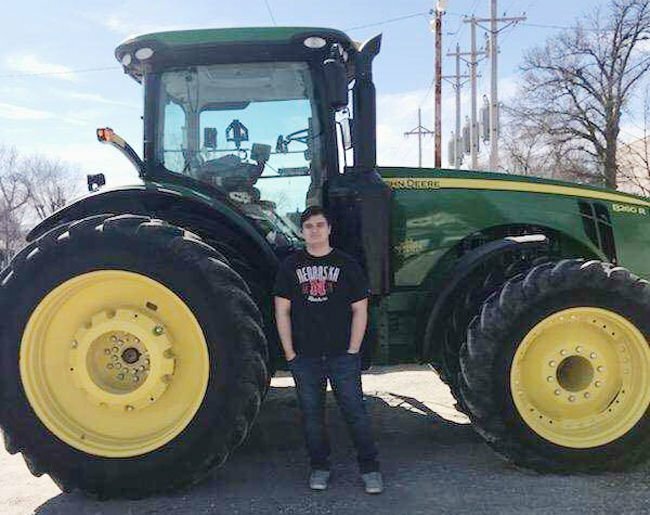 Older students could drive their tractor to school for the same $2 minimum amount. 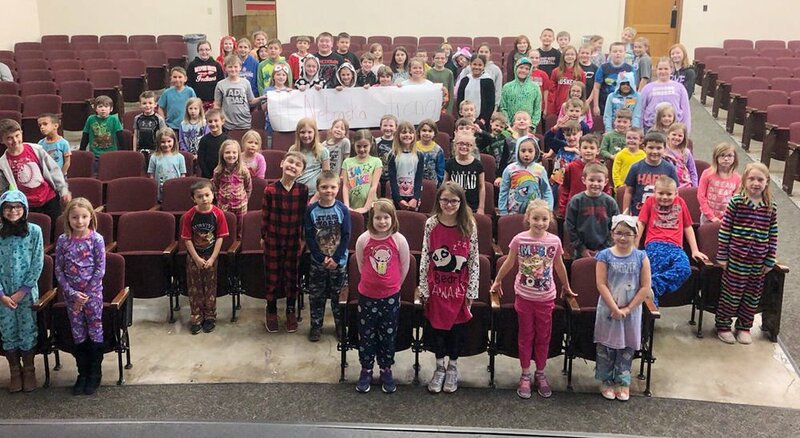 WEEPING WATER – Weeping Water students and staff opened both their hearts and wallets this past week to provide more than $700 in local flood relief funds. Weeping Water Future Business Leaders of America members collected $750 for the American Red Cross on Friday, March 22. They organized two fund-raising efforts in response to the devastating impact of the Floods of 2019 in the region. Weeping Water FBLA Sponsor Sue Heinz said Weeping Water student Trey Lamkins spoke to her and asked if the FBLA chapter could do something to help flood victims. Lamkins and Heinz agreed to set up an officer meeting for the next morning. Chapter officers Ryan Smith, Jamison Twomey, Erin Redfern, David Meredith and Avery Heath came together at 7:30 a.m. and brainstormed ideas. For a minimum donation of $2, all students in pre-kindergarten through 12th grade could wear their pajamas to school for the day. Older students could drive their tractor to the school building for the same minimum donation. FBLA members encouraged students to provide larger amounts to the cause as well. Twomey created flyers about the project and placed them throughout the school building to inform students and staff. FBLA officers also sent notes to parents of elementary students to ask them for additional donations. Heinz said she was thrilled with the response from parents, students and staff. FBLA members learned at the end of the school day that they had exceeded their original goal by $250. Weeping Water students sent the money to local American Red Cross leaders. The organization has provided many supplies and resources to flood victims both in Nebraska and Iowa. The Red Cross has also focused on shelter operations for those who have been displaced from their homes due to flood damage.